Steel construction for strength & durability, yet light enough for primary school children to assemble! AMT Media manufactures and distributes a wide range of modular staging accessories to enhance the staging system. 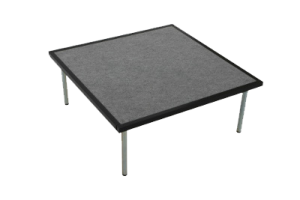 These include steps, ramps, tiered stage sections, safety guards, safety rails, stage curtains and drapes, valance panels and under-stage storage boxes. For further details please go to the DOWNLOADS page to download our NEW Staging & Lighting brochure in PDF format. 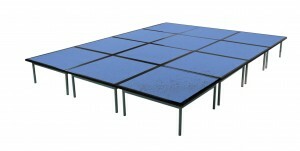 And why not download our Modular Staging Offers PDF to email or hand out to your customers.